The same could not be said for the refereeing. Chris Pollock’s policy may produce plenty of quick ball for the attacking side, but allowing defenders to compete for possession at the tackle area is a key facet of the game, one that was missing on Saturday night. 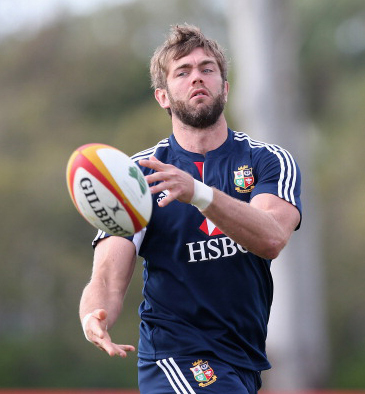 Short reign: Geoff Parling was captain for 24 hours! To hear that Brian O’Driscoll and Sam Warburton – two men who have a taste for winning turnovers – stopped competing on the deck for fear of receiving a yellow card is disquieting. Yes, we want quick ball but we also want a contest at the breakdown. It’s over to Craig Joubert this Saturday – hopefully he’ll let players have a go. Kurtley Beale might be shopping for some new boots this week. His last-minute slip cost Australia victory at Suncorp Stadium and Warren Gatland has been critical of the Wallaby’s choice of molded boots given the damp conditions. Perhaps there are too many ‘studs’ – in their own eyes at least – in the Australia squad for there to be room for any more on boots. David Campese has said that the current crop care more about how they look than how they play! Geoff Parling’s had quite a week. His wife Elle gave birth to their daughter May by C-section last Thursday – he wanted to watch it live via Skype but was promptly switched off by the midwife! – then he won his first Lions cap when coming off the bench in Brisbane and a day later was named captain of the side to face Melbourne Rebels. 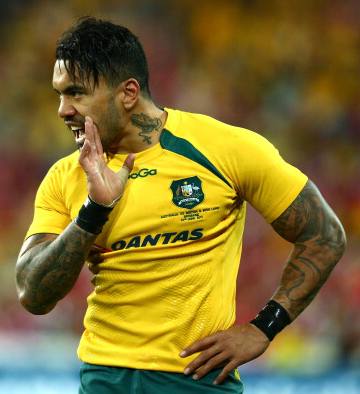 Parling probably still can’t match Digby Ioane on the drama stakes, though. A warrant was issued for the winger’s arrest after he failed to appear in court on an assault charge on Monday. The following day he did turn up and has been bailed until his court appearance in August. He’s also tweeted: “Love media. Keep talking! God will always have my back.” Perhaps he should look at it another way, though: if players avoided trouble in the first place, the media wouldn’t have anything to write about. 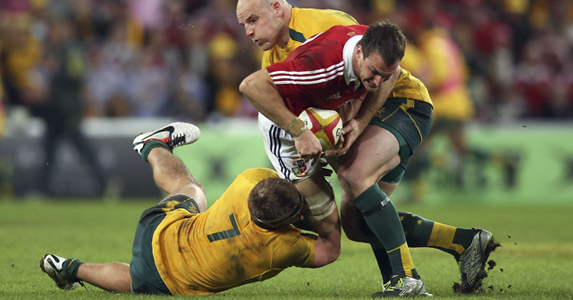 Even with all that, I haven’t mentioned James Horwill escaping a ban for stamping on Alun Wyn Jones. Best I don’t either – not sure I can be balanced on him apparently being off-balance!